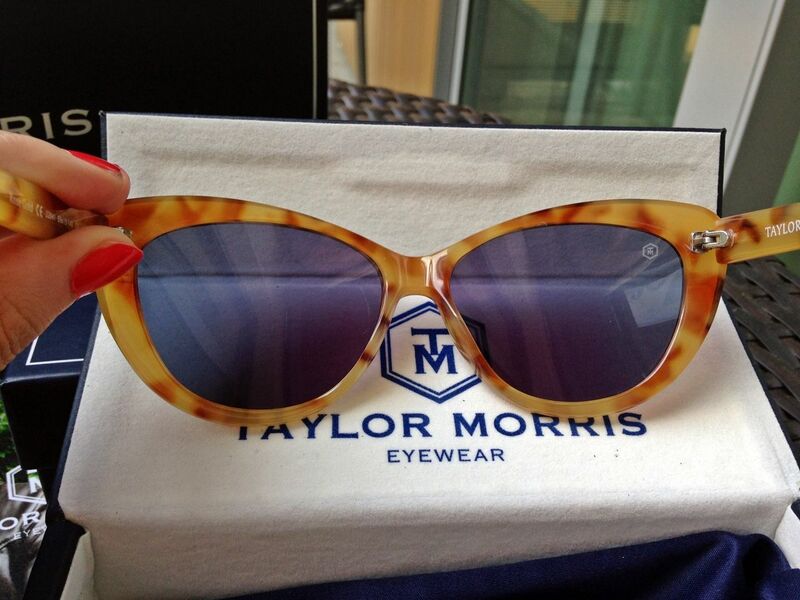 Yesterday I headed to The Lanesborough hotel in Hyde Park Corner to meet the lovely chaps behind new sunglasses brand Taylor Morris. As I ventured into the hotel, I was greeted with champagne and delicious cakes, they definitely knew how to treat a lady! 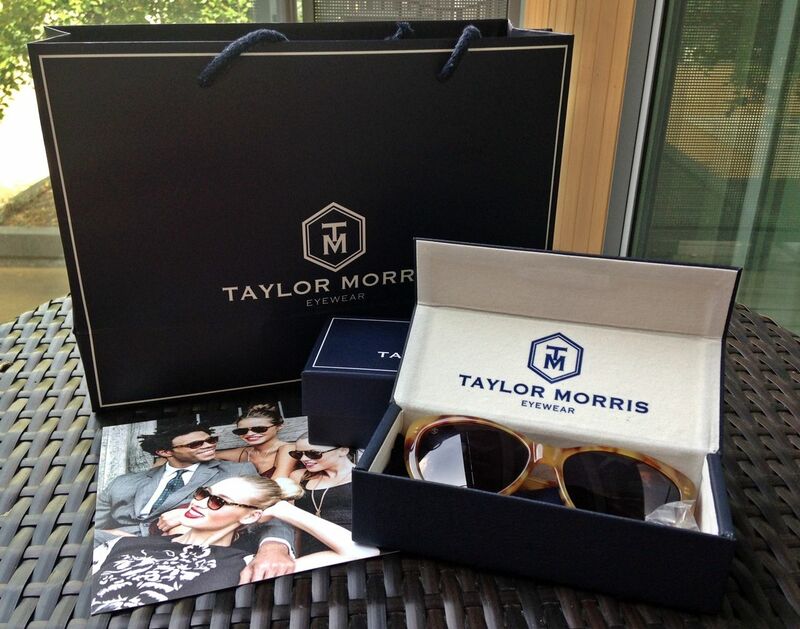 Taylor Morris is the collaboration between Hugo Taylor aka Mr Made In Chelsea and his friend Charlie Morris. 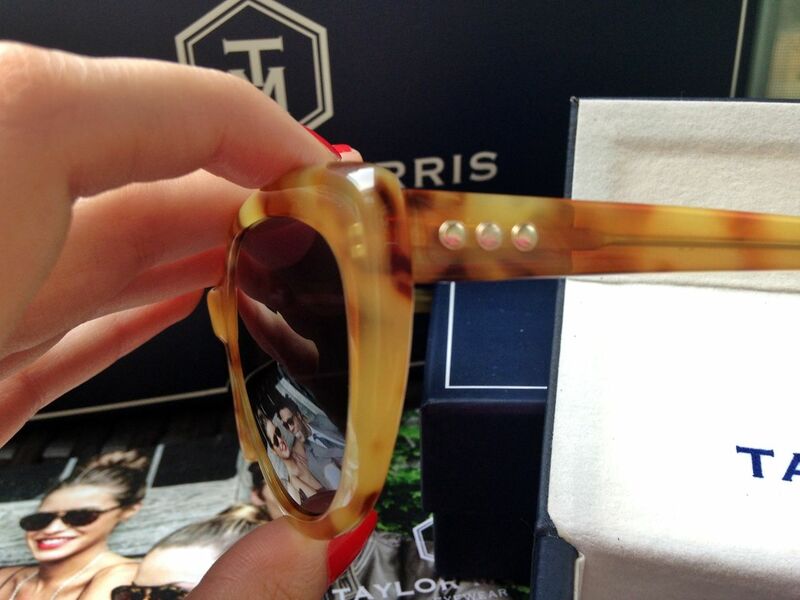 The eyewear brand sees a collection of very sleek, stylish and classic English styles for men and women. Capturing the best of British, but also taking influences from Hollywood glamour and actors and actresses such as Jack Nicholson, Robert Downey Jr and Audrey Hepburn. These can be seen in styles such as the Chelsea Cats Eye and The Louis Orson, which bodes its name from the middle names of Hugo and Charlie. There are six different styles to choose from in various colour schemes and includes my favourite the tortoiseshell. 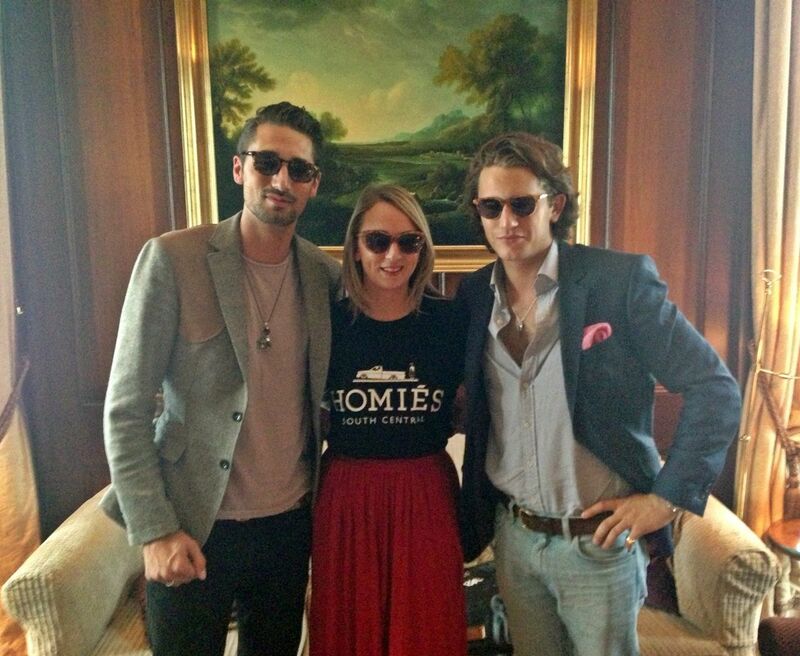 Each pair has been designed by the guys and came about after owning numerous pairs of sunglasses themselves, which they wore mostly when hungover Hugo told me. They then felt it was the right time to create their own. 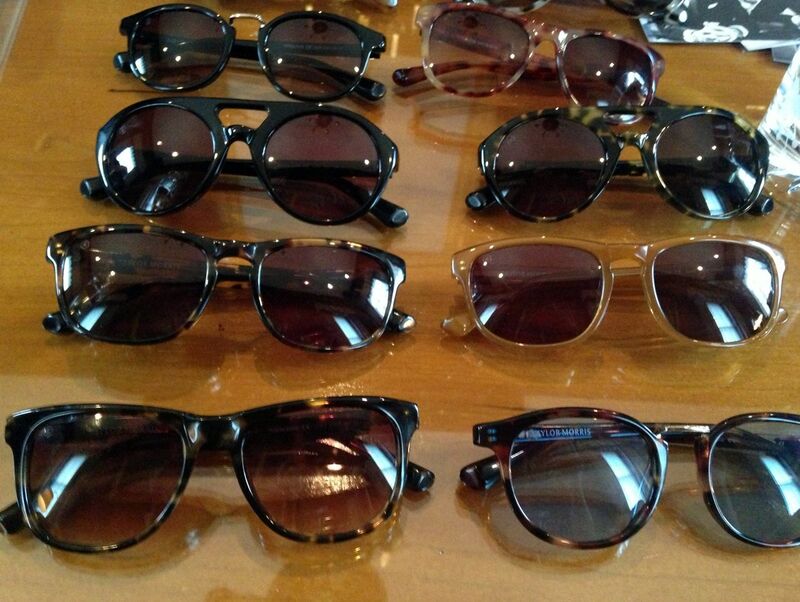 I absolutely love the names each pair has,these include the Saratoga Wayfarer, Brunel Keyhole, ‘Vredefort Golden Nose Bridge’, R J Mitchell Aviator, Chelsea Cats Eye and The Louis Orson. Celebrities they would love to see wearing the brand include Cara Delevingne, Rita Ora and of course the Made in Chelsea crew will definitely be sporting them. What’s great is the attention to detail as you can see below in my very own pair they kindly let me take away with me. Each has three distinguishing gold circles on the arm, which is either rose, white or yellow gold varying on the style. 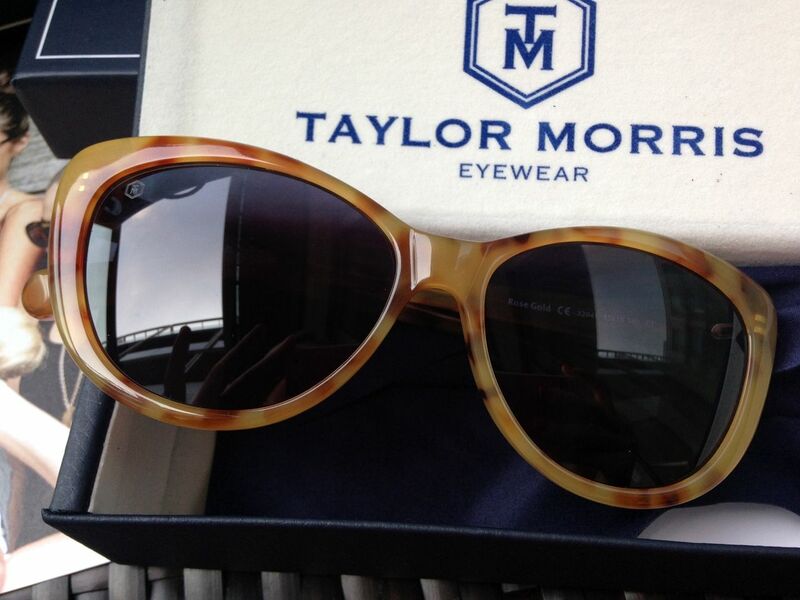 The lenses are slightly tinted on some styles with these Chelsea Cats Eye a slight blue as you can see, and all are laser engraved with the TM motif. 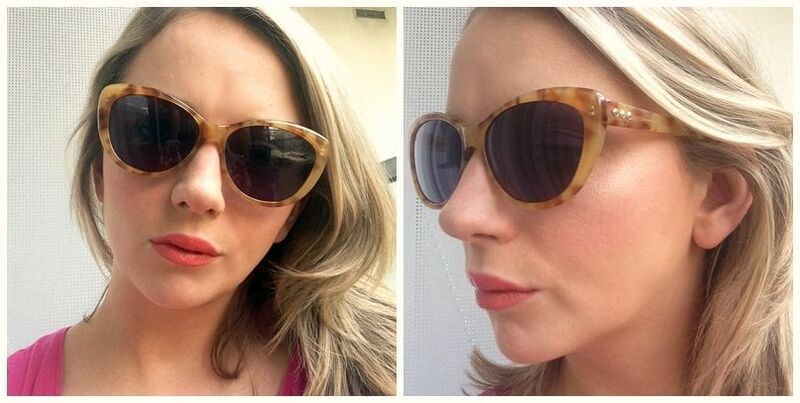 I absolutely love them and have been posing around in the sun today already with them on! 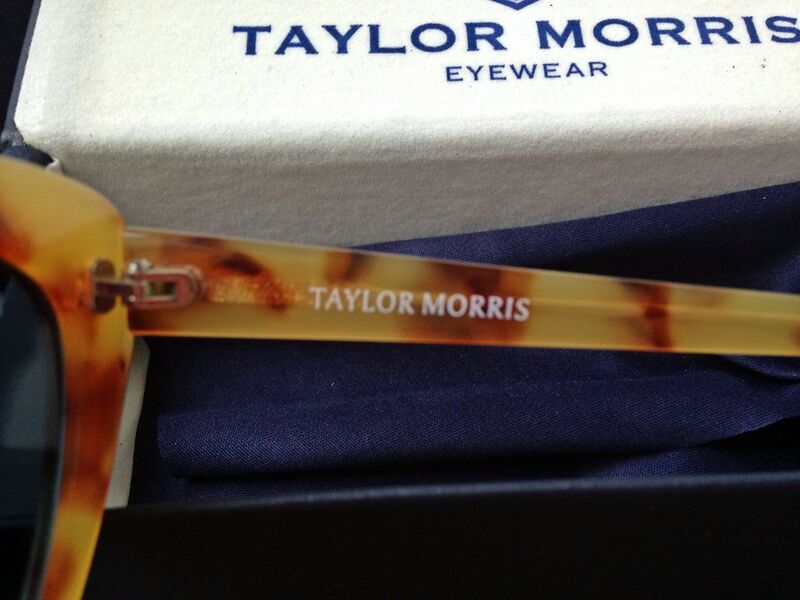 The collection will be available on the Taylor Morris website and also exclusively from Harvey Nichols as of today, prices start from £125. Get yours now! Next Article‘SMITHS’ Opening – The Cow Is Coming!